Some windows are connected to another window. 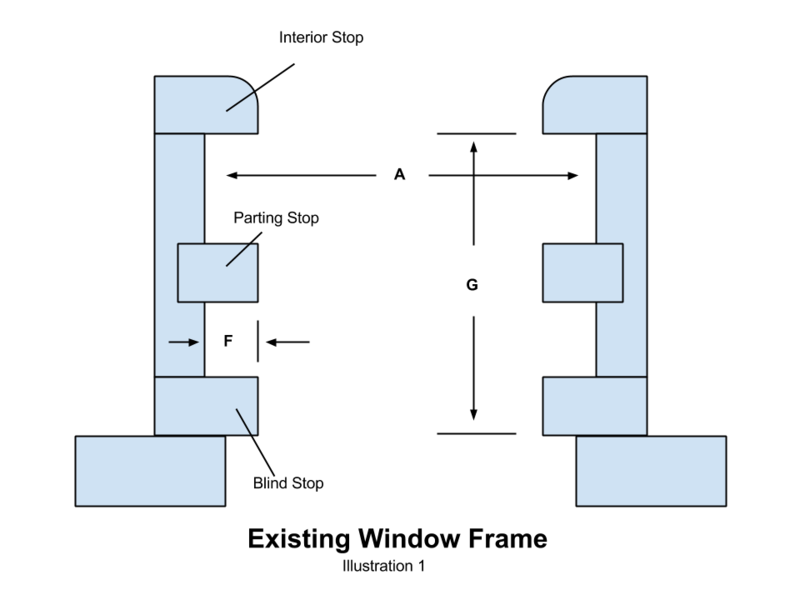 This connection point is called a mullion. Windows may be mulled in the factory on on site. Site Mulled units will be 1/16” bigger per mull. If your windows are mulled on site, he total measurement should be decreased by 1/16th per mull. When measuring inside opening heights from a sequence of like windows with separate openings, use only the shortest height measurement of all the openings for ALL the inserts. This ensures the sight lines will be uniform across all the windows. Dimensions A, B and C are required to order your windows & accuracy is very important. Dimensions D-G are recommended measurements to determine if modifications to the existing window frame need to be made. Follow these steps and record your measurements on the worksheet provided below. 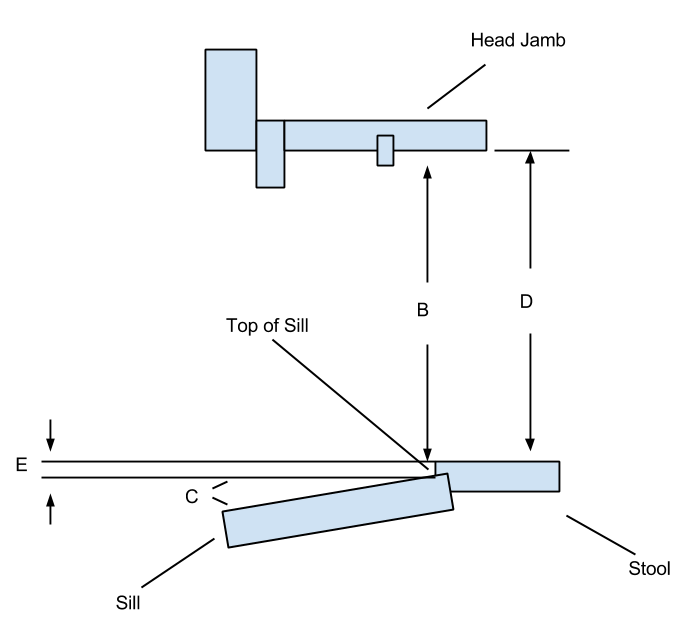 Measure the Inside Opening Height (B) from the top of the sill to the bottom of the head jamb as shown in Illustration. This measurement may also be obtained by adding dimension (D) & (E), see steps 4 and 5. Measure the distance form the top of the sill to the top of the stool or sill liner, whichever is higher (E). See illustration 2. If height is over 1” (25mm) it may be necessary to remove stool and/or sill liner or install the unit from the exterior. Measure the width of the blind stops from the inside opening to the edge of the blind stop (F). See illustration 1. If width exceeds 1/2” (13mm) modification to the blind stop or an exterior installation may be necessary. Measure jamb pocket depth (G), this must be atlas 3 - 1/4” (83mm) See Illustration 1. If depth is less than 3 -1/4” or greater than 3-1/2 (89mm) modification to the pocket may be necessary. An interior installation of a wood insert unit may be possible if the jamb depth is over 4 - 9/16”. Call your contractor/designer for more information.